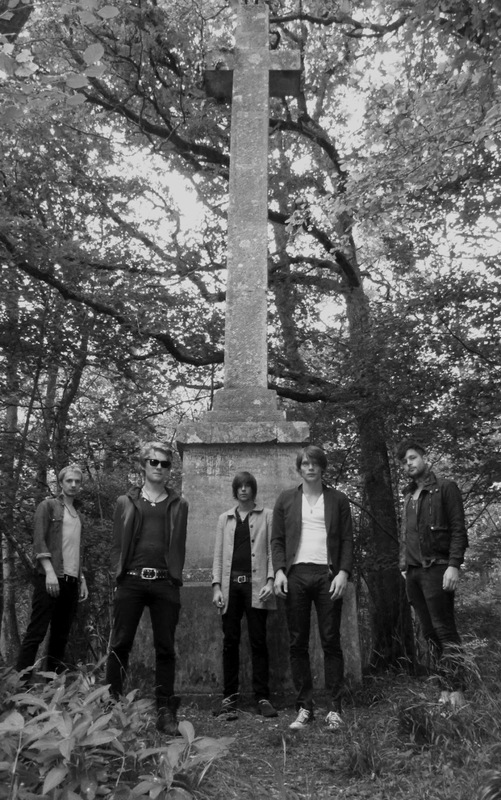 Meet Echotape, a band that came together to break down the They are the 5 piece of, Andi Karthauser [AK], Marc Burford, Dan Bowman, Daniel Morriss and Mike Burford hailing from Andover and may just be one of your favourite bands of 2012. Heading out on their debut tour Est.1987 caught up with AK and Mike to chat all things recording, being on the road and "AAI"! Hi guys. So, for those people who haven’t heard of Echotape- where are you guys from and how did you form the band? MIKE- Well, we’ve all grown up together and my brother Marc is in the band. We all went to the same school and then met Dan through college; so we’ve all grown up together over the last ten or fifteen years. We’ve all been in different bands around the area and known each other from those music projects, but it’s only over the last year or two we’ve come together. MIKE- We always tried to avoid doing this, just because it always seems that the oness is on the listener to think what it sounds like. You get people come up to you after a gig and say, “I really liked that, you remind me of this band” and we might think we don’t sound anything like that. But if they are comparing you to that band it means they like that band in the first place, so we take that as a compliment. 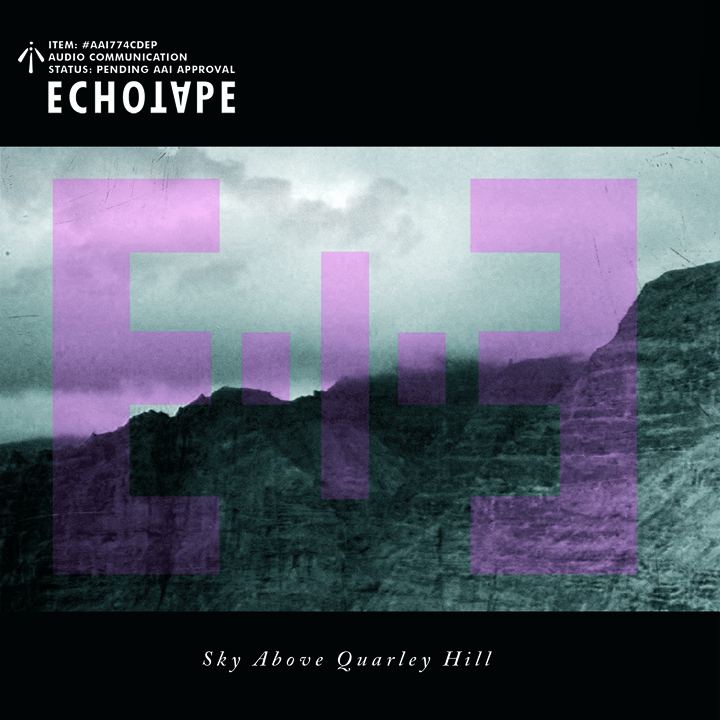 Your EP “Sky Above Quarley Hill” just came out and you worked with producer “Youth” on that- how was that experience? AK- It was excellent. It was quite overwhelming actually, because we went down to Spain to record at his studio last year. It went by so quickly. We did six days and recorded everything live, like seventeen tracks; we didn’t have time to think by the end. We didn’t realise we did it until afterwards when we got home and spent months mixing it. We recorded the album and then the E.P so all the tracks at the moment were done in that same session. The E.P is a little bit more electronic and psychedelic than the album. The album’s bigger songs. MIKE- We haven’t got an actual date for the album yet. We’re looking to release a couple of singles over the summer and then the album later on in the year. We checked out your website- you guys don’t give very much away! The site is really visual and has strong messages on there such as “We are made perfect. We are corrupted from birth. We can undo the damage. If only we realise.” Is that sense of mystery deliberate? MIKE- Yeah definitely. There’s a collective called “AAI” [Amalgamated Aesthetic Industries] and it’s always been around and recently it’s been part of us. Like the “GAPP” [General Administration of Print and Publications] in China which govern literature that is published, the AAI governs us and says what we can produce. It’s like all the people that form part of “Echotape” and the external circle we’ve got with us are “AAI”. So, in a sense it’s like us governing ourselves, but it’s not, it’s the bigger picture in the collective of all of us. We didn’t want our website to just be generic; here’s our gigs, look at these nice pictures of us against a wall. We want a proper art direction and it to be visually entertaining. Your single “Came Into My Blood” and the video for it, again it’s very visual and a very different feel to the standard kind of performance video – can you tell us a bit about the premise for that? AK- Part of our manifesto is “the greater your purpose for something, the clearer you see things” so everything that we do with this band we want to put as much meaning and purpose into it as possible. We didn’t want to go down that route of doing a performance video but wanted to create a storyline and create something a lot bigger than ourselves. We got the storyline of that video, and the next video is going to be a prequel to it so we’re not actually in that video either. Then we will keep working on the storyline so everything fits together. NICK- We’ve got a guy called Chris Warsop with us who does a lot of the artwork for us and he’s really cool and works for AAI. He filmed it and edited it all, but yeah someone will come up with the basic form and then it gets mashed around and ideas come together. AK- There’s a lot of improvisation in it which I think is the best way for creative things to come out if you have limited resources, because you have to be really creative and come out with something. How’s the touring gone so far? Do you guys like being out on the road? MIKE- Yeah, it’s been really cool. The first one was the Barfly which we headlined- that was wicked. Then we’ve been to Birmingham, Coventry and last night we were in Manchester. It’s all been going really well. AK- There’s something really cool about playing live that you don’t get from people listening to a record, because live the songs are personified. People can have that greater connection because there’s a whole new sense involved. And finally, what music have you guys been listening to recently? Your influences are M83, The Horrors, Echo and The Bunnymen – do you still listen to them? AK- On this tour I’ve been listening to “Portico Quartet”, you should check them out, and “Echo and The Bunnymen”. But, it’s always changing and depends on the mood I’m in. Having embarking on their first tour, Echotape complete their run here in Leeds on this their final night, in the knowledge that they’ll have to slog four hours to get home post-show. However, there is a show to play first and, after catching up with the band earlier, we understand that they don’t do things by halves. So we’re anticipating what is set to be a full sounding, whole hearted performance. Echotape are unquestionably ambitious and aim to diverge from the recent trend of hollow bands that are more style than substance. In fact, Echotape are both; their passion, musicality and drive are harnessed in their music, just as their style effortlessly oozes from their on stage charm and dynamic. The impressive vocal harmonies on E.P track “Unstable” are pitted against the deliberately bleak and echoic “Came Into My Blood”. 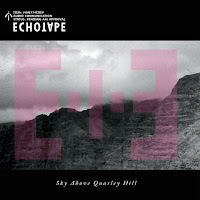 Echotape’s sound is organic and ambient when recorded on E.P. However, it is in this live arena where the songs come into their own. Songs such as “Far From Heaven” are anthemic; from slow beginnings, rising and building to a multilayered crescendo. Echotape are haunting, inviting and mesmerising in the same breath. The uplifting “Spinning” closes their modest set here tonight. After some confusion over the venue (Escobar Wakefield or Leeds?) the crowd tonight is intimate. However Echotape’s dream like melodies resound through the room, revealing their ability to command an audience of any size. Echotape are an exciting band that hold a refreshing view on music and creativity. With an album on the horizon, keep your eye on them as they may just be your new favourite band! Head to http://echotape.co.uk/ to get your free download of "Came Into My Blood"